At ITMA 2019, SPGPrints will showcase the latest innovations in both conventional and digital textile printing for the fashion and the home-furnishing industry. Looking for either a conventional or digital textile printing system? SPGPrints can help you find all the essentials you need. At one of the largest booths you will be able to see the latest conventional and digital printing solutions as well as get the opportunity to visit the brand new rotary screen and digital ink technology center to assist you in finding the right equipment for your printing process. 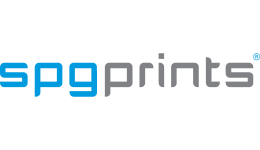 In terms of conventional printing systems, SPGPrints will take the opportunity to showcase its latest generation of laser engraving equipment and the nine color PegasusEVO rotary screen printer. 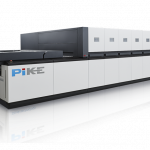 At ITMA Barcelona, you will get the chance to witness a live demo of the Pike single-pass digital textile printing machine but in a different format than has been shown before. Of course, the Javelin multi-pass digital textile printing machine will be on showcase too.